In this article, I am going to introduce you to some natural remedies for thinning hair which you can easily apply in order to make your hair fuller and thicker. 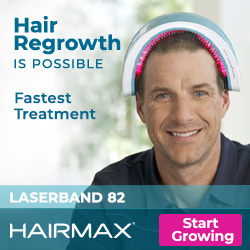 Unfortunately, I have some bad news: As you grow older, your hair will noticeably become thinner. This happens because your hair spends more time in the last cycle, which makes your hair shedding faster than growing back. But I have some good news as well: There are plenty of things you can do to grow your hair back! Just keep reading. Apart from androgenetic alopecia (the medical term for either male or female pattern hair loss), there are a few other types of hair loss which will be explained in detail throughout this article. Alopecia is the medical term for hair loss in general and can either be temporary or permanent. 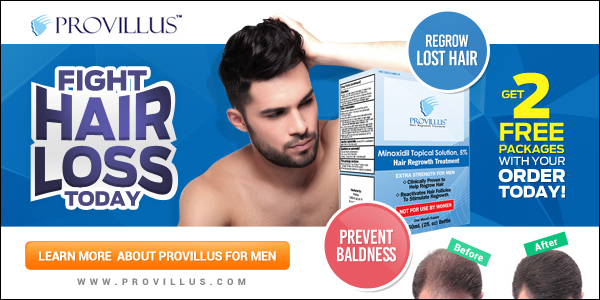 “Androgenetic Alopecia”, the most common form of hair loss, can be broken down in 2 parts: “Androgens”, a combination of various male hormones, and “Genetic”, the inheritance of genes that causes hair loss and is either inherited from the mother’s or the father’s side. One day you wake up, go to the bathroom, take a look in the mirror and know exactly that there is something wrong with your hair. You take a closer look and start examining your scalp, combing your hair or using that hair styling product that promised you to give your hair more volume and before you know it, the sink and the bathroom floor are covered in tufts of hair. Sound familiar? In this article, I will be showing you how to grow your hair back in the long run.